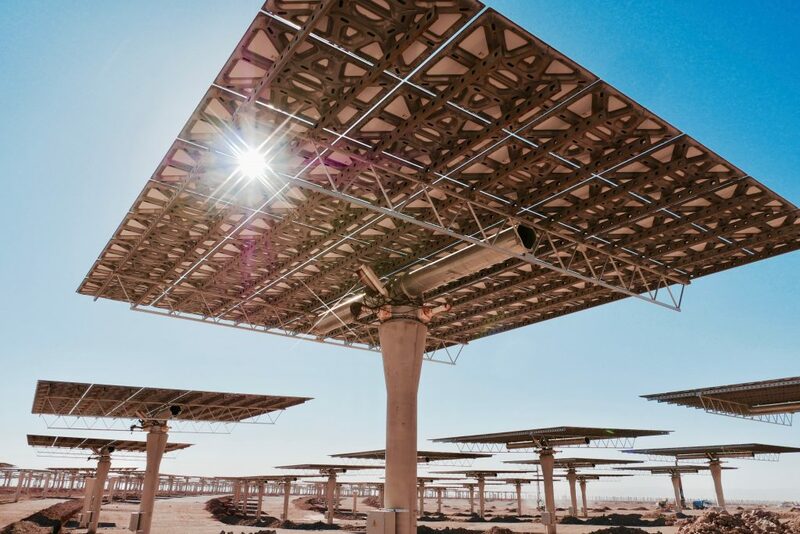 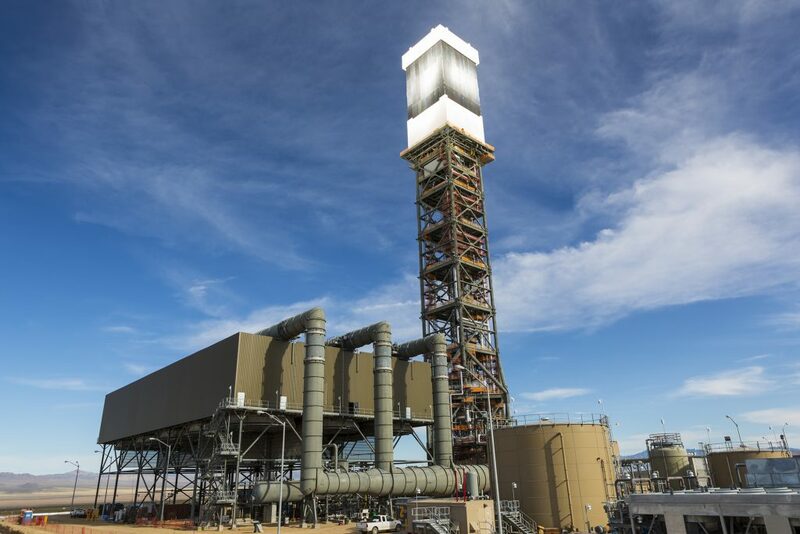 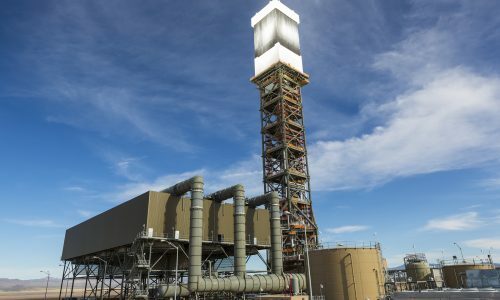 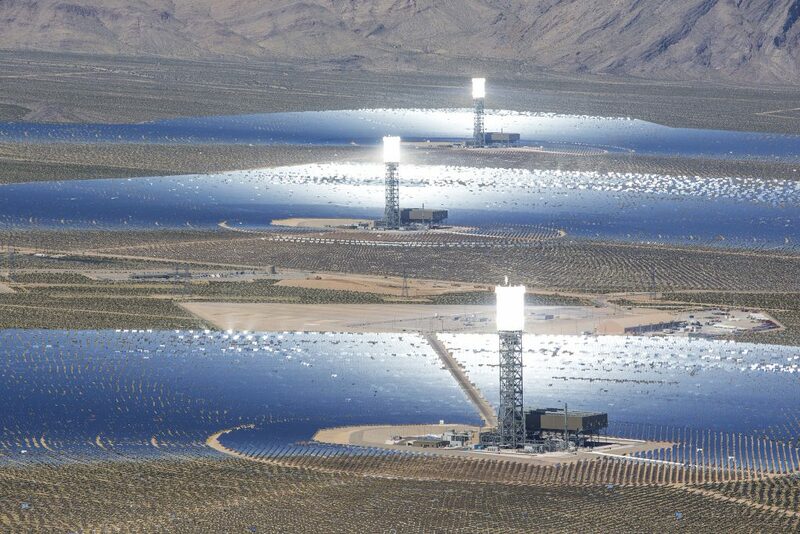 Below you will be able to see pictures of four of the largest and most iconic CSP projects worldwide. 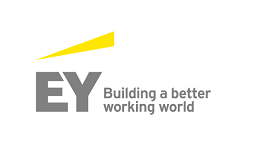 Please bear in mind that this list is not exhaustive! 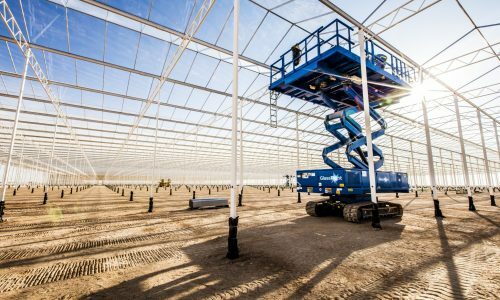 NOORo II and III are scheduled to come online in late 2018. 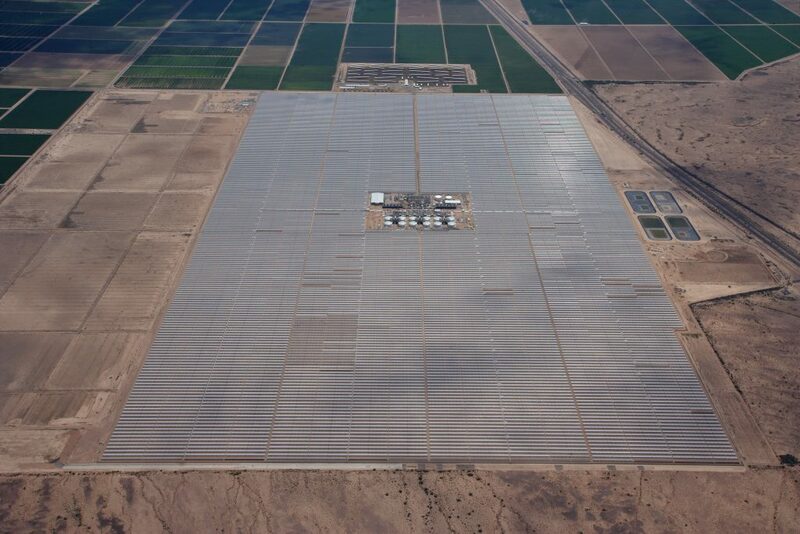 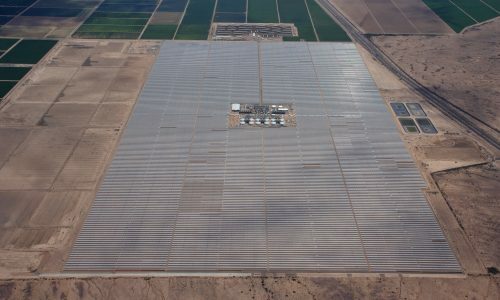 Additionally, the complex includes a 70 MW PV plant (NOORo IV). 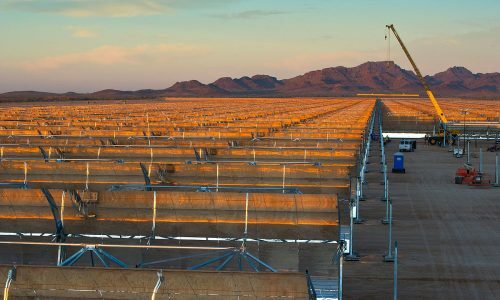 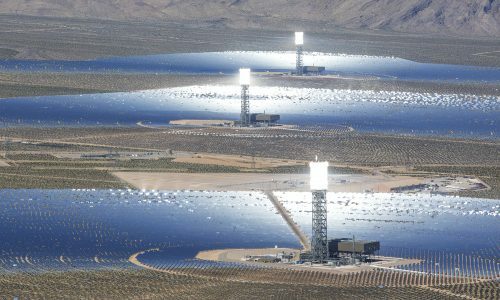 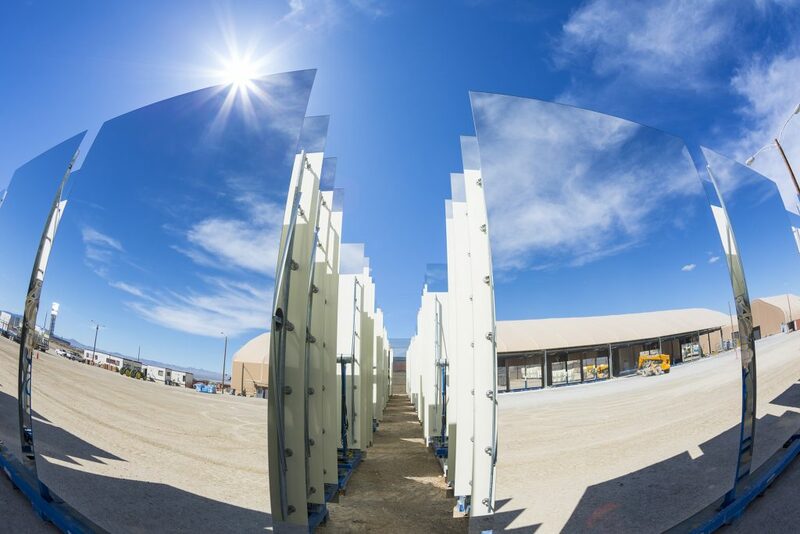 The Ivanpah site comprises three tower plants (126, 133 and 133 MWe), all of which have been operational since 2014. 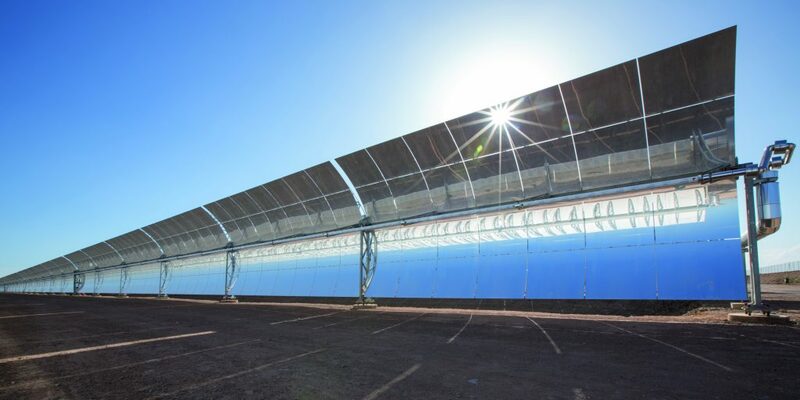 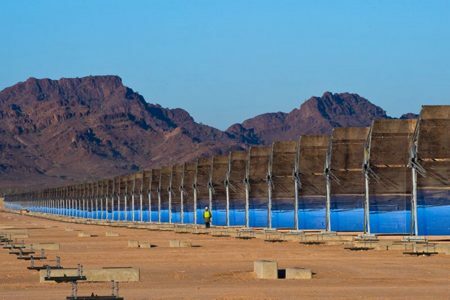 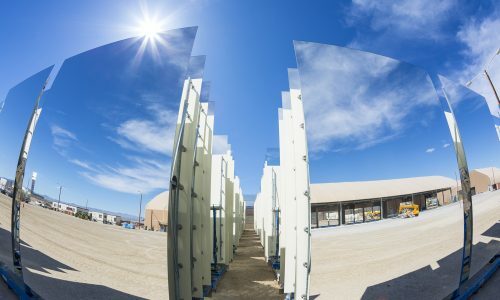 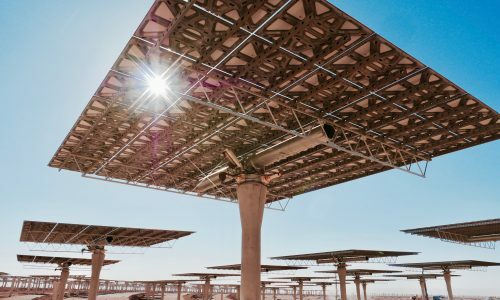 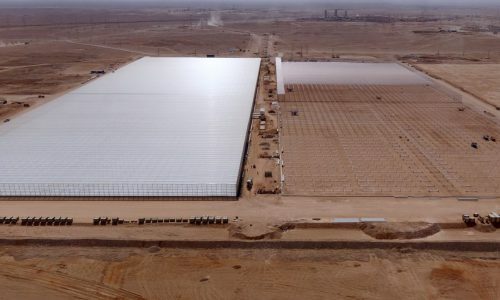 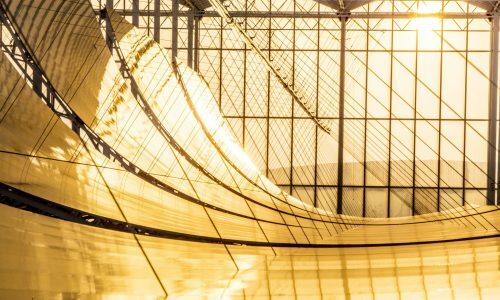 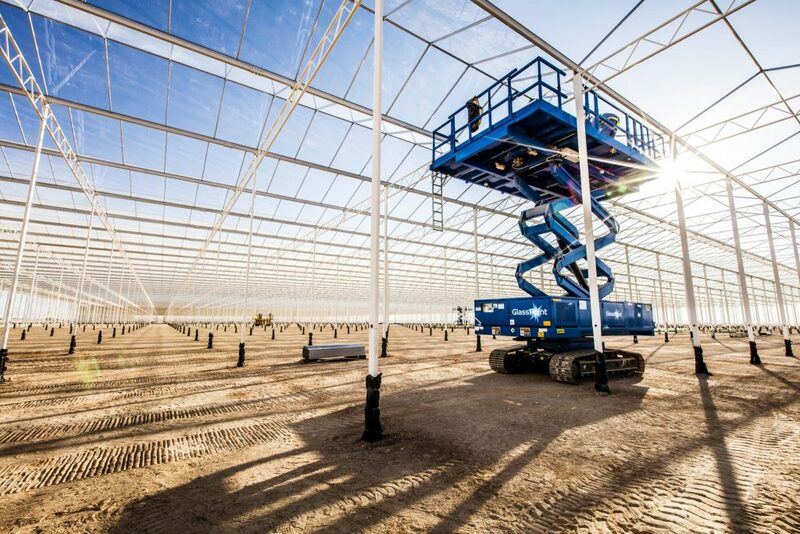 The Miraah project will be used for enhanced oil recovery (EOR) and employs a technology in which parabolic troughs will be enclosed in greenhouses. 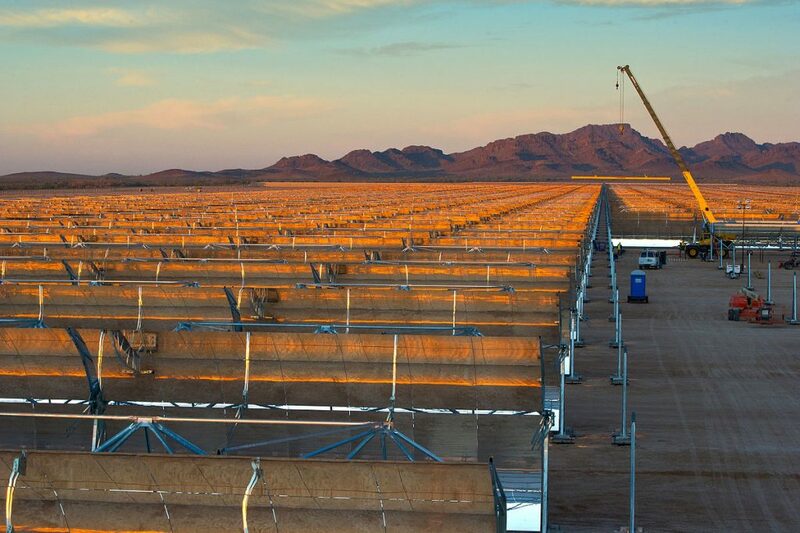 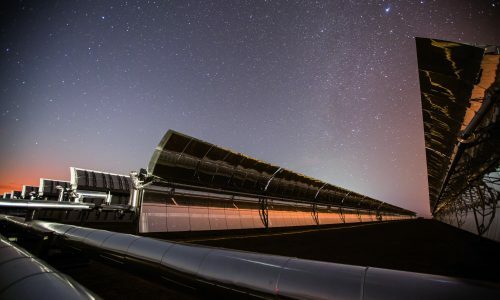 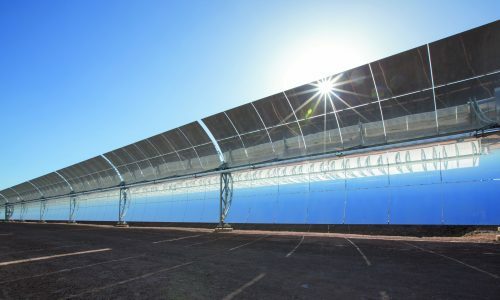 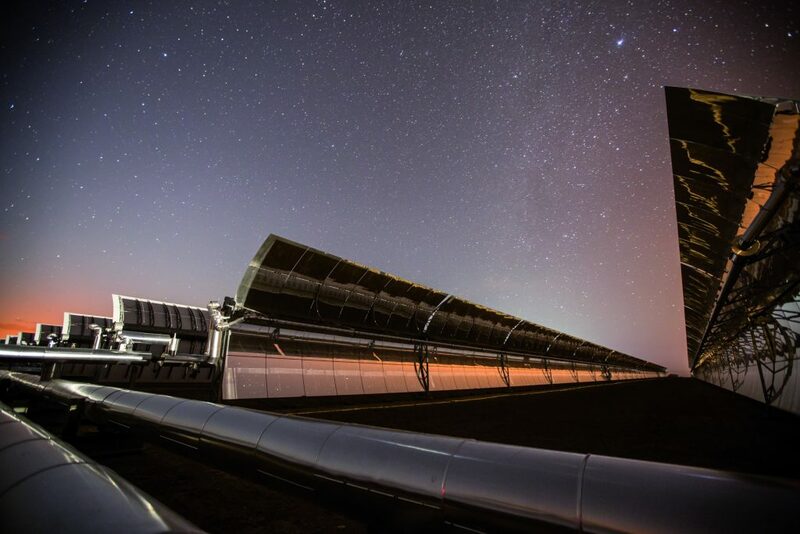 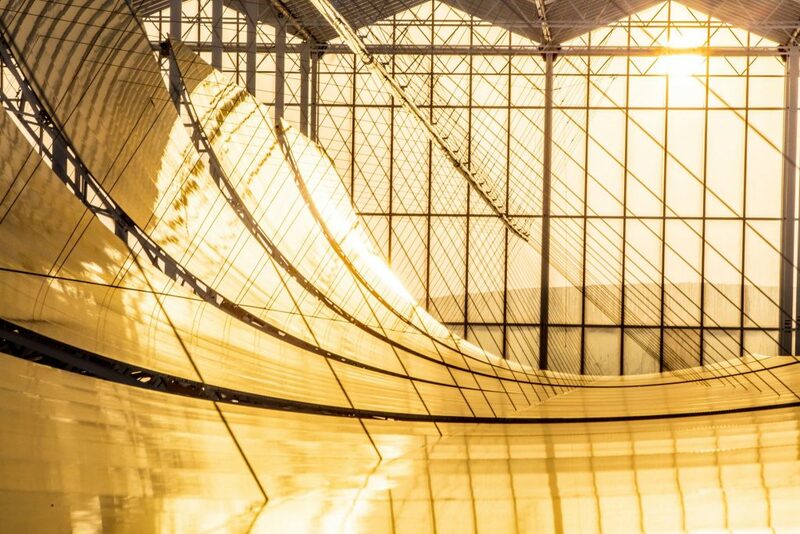 Solana is one of the first large scale CSP projects to come online (October 2013) with 6 hours of storage.